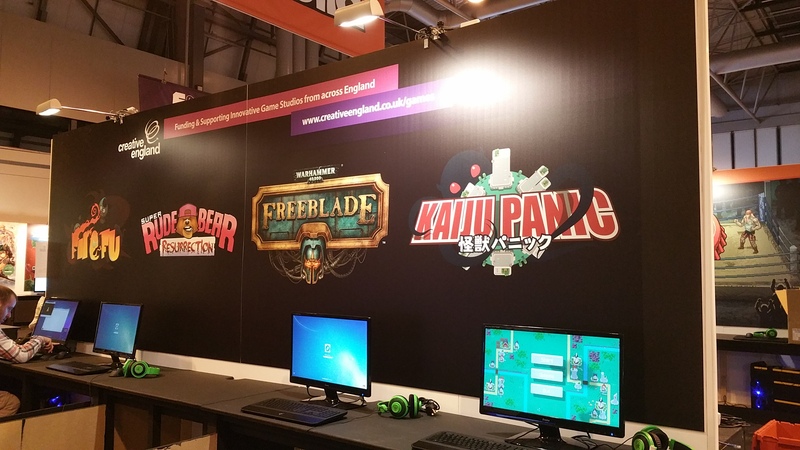 We are going to Play Expo in Manchester Eventcity on 10-11th October, the day after Kaiju Panic launch party, really looking forward to it. Hope to see you there! See you all at EGX! 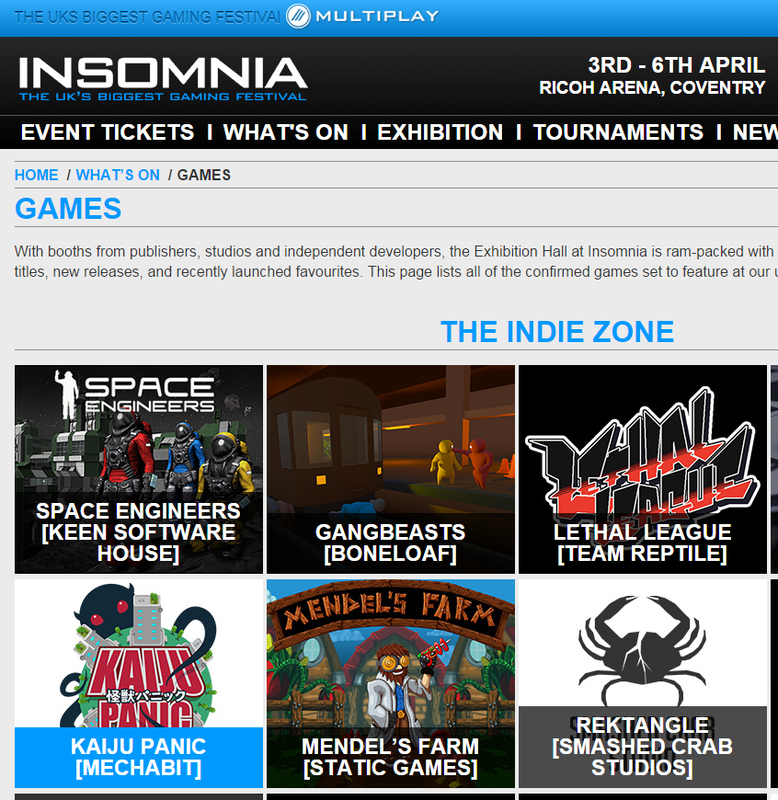 Keep a look out for us in the indie Rezzed area near the Left Field collection. 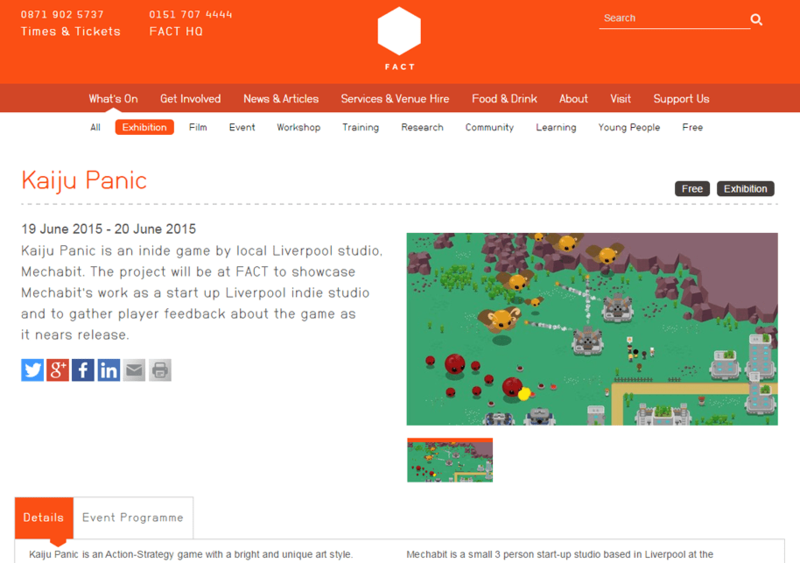 We will be exhibiting Kaiju Panic at the FACT for 2 days on 19th-20th June. If you're in the area or catching a film drop by and say hi! We'll be on the left right by the entrance. Also we're running a mini-workshop in the FACTLab in July if you want to learn a bit about Unity. It's aimed at beginners, no programming knowledge required! Drop by our stand if you're attending!